Si Fu Marco has been training martial arts most of his life. At age 9 he was introduced to Japanese arts and practiced karate for several years. He then moved into learning Chinese martial arts at the age of 13. His enthusiasm and dedication in kung fu led him to open his own school at the tender age of 19. He started instructing at the local gym and within six months moved into his own premises. Since then the centre grew and so did the students whose lives were enriched into a new era of Chinese martial arts. In the pursuit of expanding his unquenchable thirst in the arts Si Fu Marco decided to expand his horizons and seek other styles and schools internationally and he set off to Europe in 1987. His travels took him to the United States in 1988 where he built new relationships with many masters. He then set about the task of liaising with practitioners, masters and competitors with the purpose of promoting South African Chinese martial arts. In 1989 Si Fu Marco achieved the highest accolade in sport, his South African colours. He competed successfully internationally. 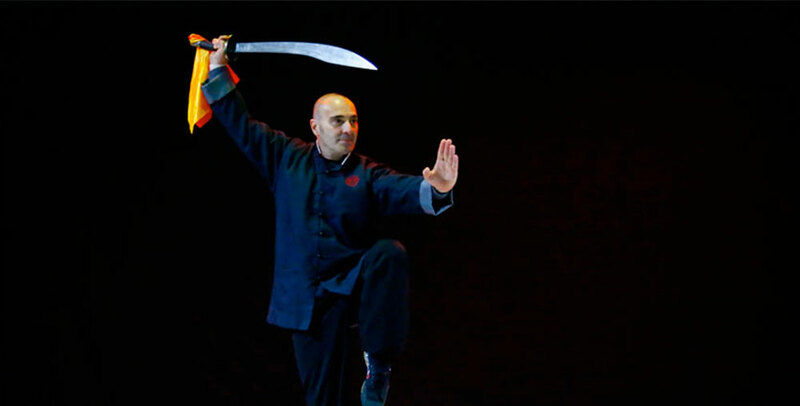 With all the experiences in his travels and competition he decided that competition would not be the main focus of the school but the teaching of authentic traditional Chinese martial arts. The following year 1990, he coached the South African team for international competition in the USA. The team member performed well and brought home several trophies. He continued to become more competent in his knowledge and became and certified judge and referee. In 1994 a team selected by Si Fu Marco representing Chinese Martial Arts & Health Centre attended an international competition in Beijing, China. It was a dream come true for many of the team members to visit the country where kung fu originated. Their performance was outstanding bringing many medals home. In 1999 another team selected by Si Fu Marco again representing Chinese Martial Arts & Health Centre trained diligently in preparation for an international competition in Baltimore, USA. The students participated in the traditional bare hand, weapon, semi contact and full contact divisions. Several gold, silver and bronze medals were attained. The students were delighted to participate in competition but felt that the true benefit was in the training preparation and the camaraderie of the team. Since 1999 Si Fu Marco has moved his focus away from competition and has travelled extensively to Taiwan to continue his training with Master Chen. More recently he has set up Martial arts seminars and focused on technical and cultural exchanges with his and Master Chen senior students. This has helped strengthen the students’ martial arts understanding and helped foster relations between South Africa and China. Celebrating our twentieth anniversary during 2005 was the highlight for that year. During the following years Si fu Marco has managed to bring four of his most senior students to Si fu level. Si Fu Marco spends most of his time traveling and teaching the senior levels of all the schools. He is currently translating Master Chen’s books into English for the benefit of all our English speaking students around the world.